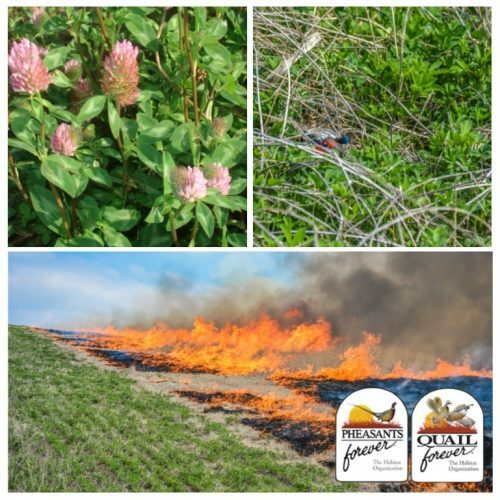 Alfalfa and red clover are adapted to a wide variety of soil and climatic conditions, providing value for prescribed burning and wildlife habitat. Vegetated firebreaks need to be installed well in advance of the prescribed fire. Alfalfa and clover often take 2 years or more to generate a robust stand. Plants within vegetated firebreaks eventually mature and need to be maintained through a periodic mowing to reduce height and litter accumulation. Baling or raking can be used to remove the mowed material from the firebreak. 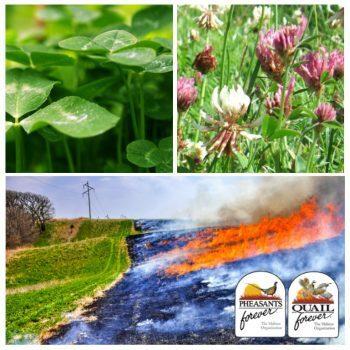 Alfalfa and Red Clover are found throughout the US in a wide range of soil conditions. They perform best in deep, well-drained loamy soils. With an extensive root system, alfalfa is drought tolerant but sensitive to low oxygen levels in wet, saturated soils. Red Clover is better-adapted to poorly drained soils.